Garrett Frechette is a 2019 1B/OF with a 6-3 195 lb. frame from Vista, CA who attends Cathedral Catholic HS. Big and strong athletic build with room t get even stronger. 6.90 runner, plays both first base and the outfield, very polished and smooth at first base with advanced defensive skills. Left field tools in the outfield, has less experience out there but should become playable which will help his versatility and prospect stock. 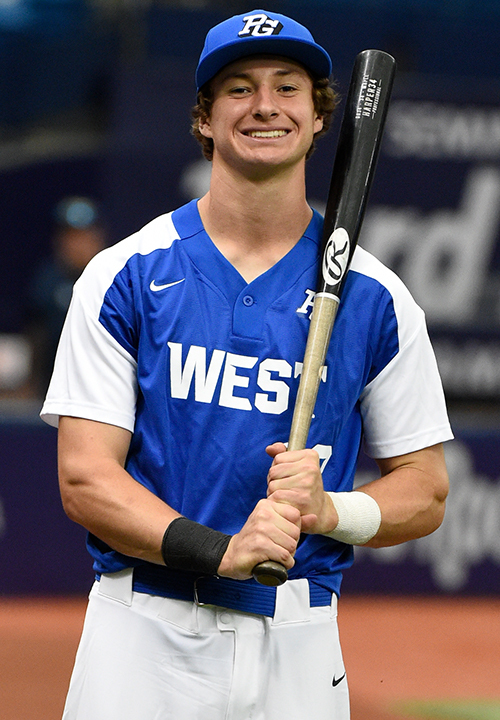 Left handed hitter, has a patient approach with a loose and easy trigger, loose hands with a very fluid swing, shows big power and raw bat speed, has lift and pull side power, really projects as a hitter. 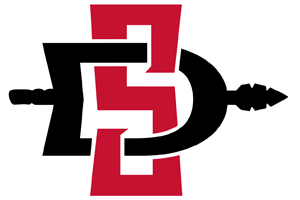 Good student, verbal commitment to San Diego State. Selected to play in the Perfect Game All-American Classic.